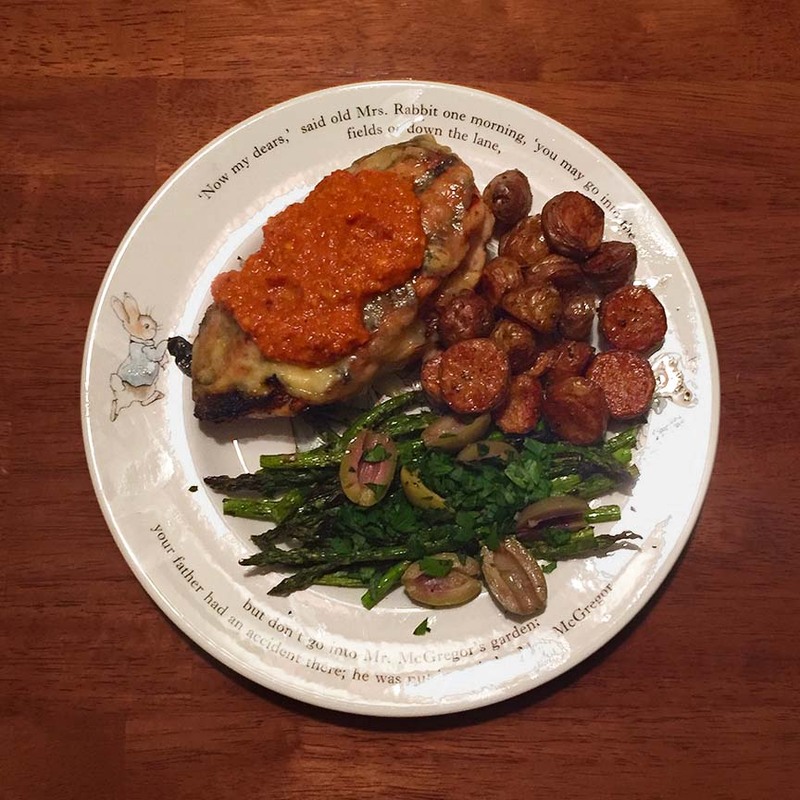 Pollo Cordón Azul with Romesco, Grilled Asparagus with Olives and Duck Fat Roasted Fingerling Potatoes | Jouer avec le feu. I couldn’t settle on what to cook this week, so I went with a favorite. I also decided to try the duck fat roasted potatoes with some fingerlings that I had left over from the Roasted Chicken and the Collard Greens Soup. I went with a bottle of Saison Facile from De Garde. This entry was posted in Chicken, Pork by Radiodiffusion. Bookmark the permalink.